Hollar has a Home Basics Glass Bowl Set for just $3.00 — the clear sets just sold out, but so far the color sets are still available! 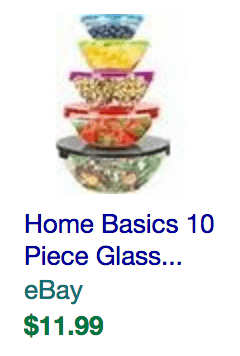 First time Hollar purchases also qualify for free shipping! 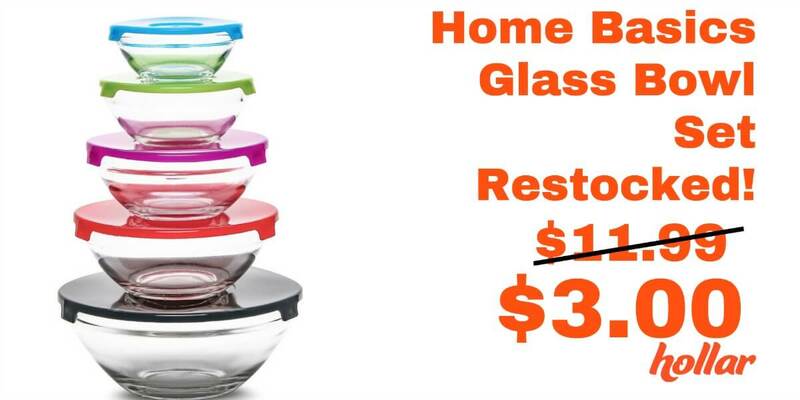 This is one of those “While Supplies Last” deals, and the clear sets are already gone, but the colored sets are still available, so hustle over to Hollar to claim your Glass Bowl set before they’re gone! FREE Ultima II Lipchrome Lipstick – While Supplies Last! Sally Hansen Hard as Nails Xtreme Wear Nail Color as Low as $0.44 at CVS!